Buy any 5 blinds of your choice and get an extra 10% discount..
With over 15 years experience in the blinds industry and hundreds of satisfying clients all over the Peninsula, we are the best at what we do!! 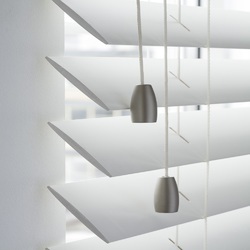 We supply all types of blinds direct from the factory, Venetian, Vertical, Roller, Roman, Bamboo, etc. We offer obligation free quotes to all our clients with free installation on all orders big and small, no hidden costs, the price you get is the price you pay!! All work guaranteed and professionally carried out by owner. References available on request!! Please contact Conrad on 0713727065 for an appointment or alternatively you can send me your sizes along with the type of blinds you're interested in via e-mail (jasunqualityblinds@gmail.com) or whatsapp and I'll get back to you as soon as possible.